Trim off all the fat. Make small cuts in the lamb with a knife and fill with cubed bacon. Rub well with coriander and brown sugar. Marinade in red wine and rosemary overnight or at least for a few hours. 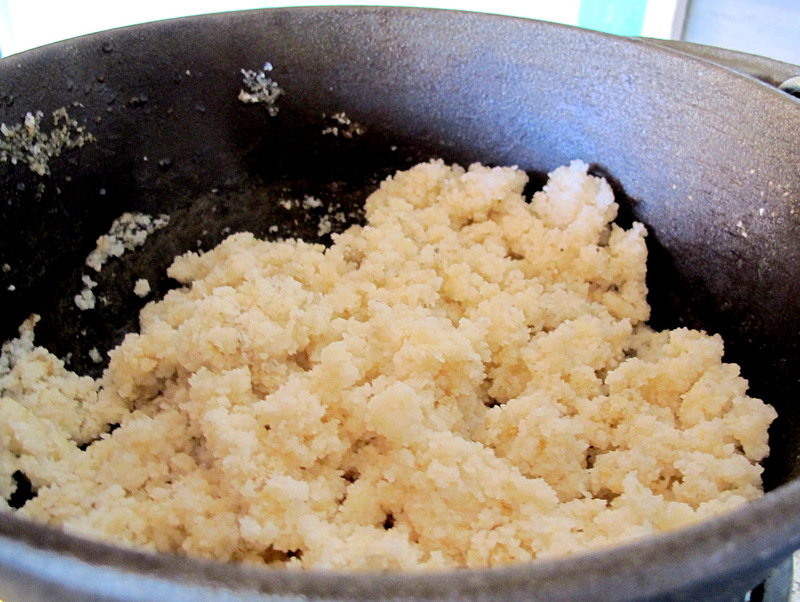 Melt the butter and oil in the potjie and brown the meat slightly on all sides. Add the rosemary and wine marinade. Cover with the lid and allow to simmer for one and a half hours or until half done. Add the carrots and Brussels sprouts (or other veggies of your choice) and the remaining sour cream, cover and simmer for a further 30 minutes. When meat and veggies are tender add marmalade and stir until melted. Garnish with orange rind or orange segments and fresh parsley just before serving. Serve on a bed of crumbed Putu/ ‘Krummel pap’ or wild rice. 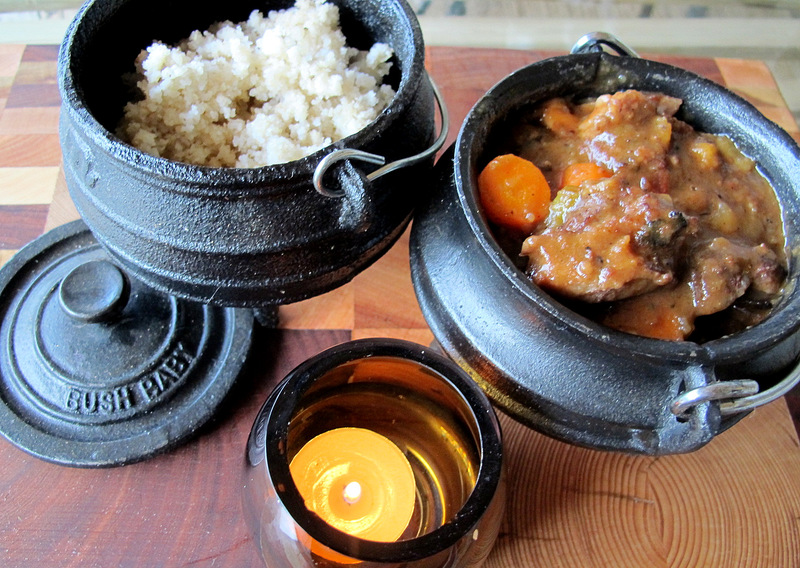 We usually serve our meat potjie with traditional South African ‘Krummel pap’ Afrikaans) or ‘Putu’ (Isizulu) which seems deceptively easy to make but actually “an art form” to get just right. It must be crumbly and not too moist. Remove the pot from the heat, cover with the lid and allow to rest for 5 minutes. Replace the lid on the pot and set on low het to simmer gently for 45 minutes.